I loved my holiday in Salou, I got ill and had to stay longer. The size of the room and balcony. The free air conditioning and the washing machine. The location was great, as could walk to beach & shops/restaurants easily. also bus stops close by. Felt very at ease with my young family and Albert was very helpful on reception at Rentalmar. Apartment was in a good spot but that is all I would say.There was 4 of us and only 1 key as they couldn't find the other key for us. Going out at night was a nightmare as we had to all meet up to get back in. L'accueil très chaleureux de Naty à l'accueil de l'agence Rentalmar. La proximité du logement pour PortAventura, la possibilité de se déplacer à pied, les commerces à proximité, la plage et les resto !!! Appartement spacieux. Понравилось расположение: Близко к морю и к автостанции. Большая удобная кухня с микроволновкой и стиралкой. Просторный балкон, где можно кушать на открытом воздухе. Уже не первый раз через эту фирму снимаю апартаменты, всегда довольна. Located just 1,650 feet from Levante Beach and the Fuente Luminosa Fountain, Rentalmar Azahar complex has a freshwater outdoor swimming pool. Each apartment comes with a furnished terrace. All apartments at Rentalmar Azahar come with a kitchen with a hob, a fridge and a washing machine. Each includes 2 twin bedrooms and a double sofa bed in the living room. Some apartments have air conditioning. Guests can relax on the on site sun terrace. A supermarket and cafeteria are located in the same building as the apartments. There is also a bar. Rentalmar Azahar is located in a quiet community area. There are many shops and restaurants nearby. PortAventura is a short drive away. 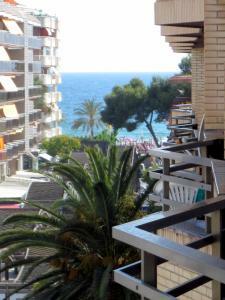 뀐 Located in the real heart of Salou, this property has an excellent location score of 8.2! When would you like to stay at Rentalmar Azahar? 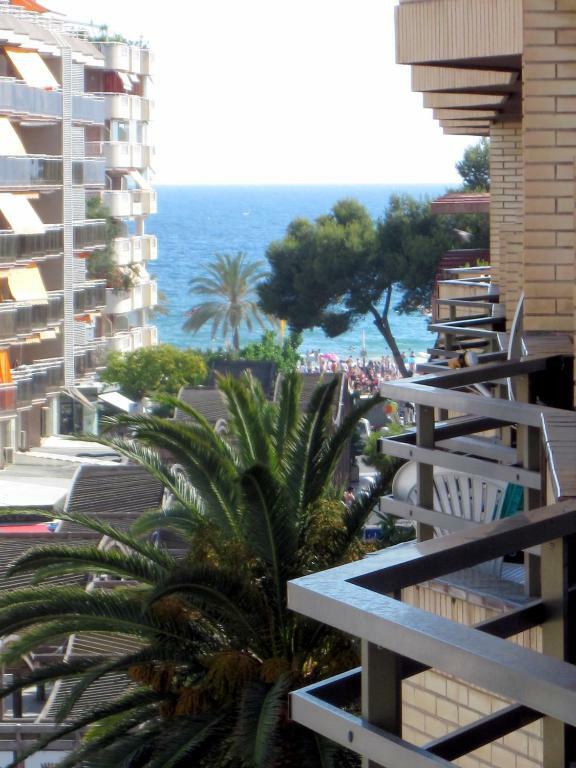 This apartment features a furnished terrace and 2 double bedrooms. It includes lounge-diner with double sofa bed and TV, a bathroom and a fully equipped kitchen. 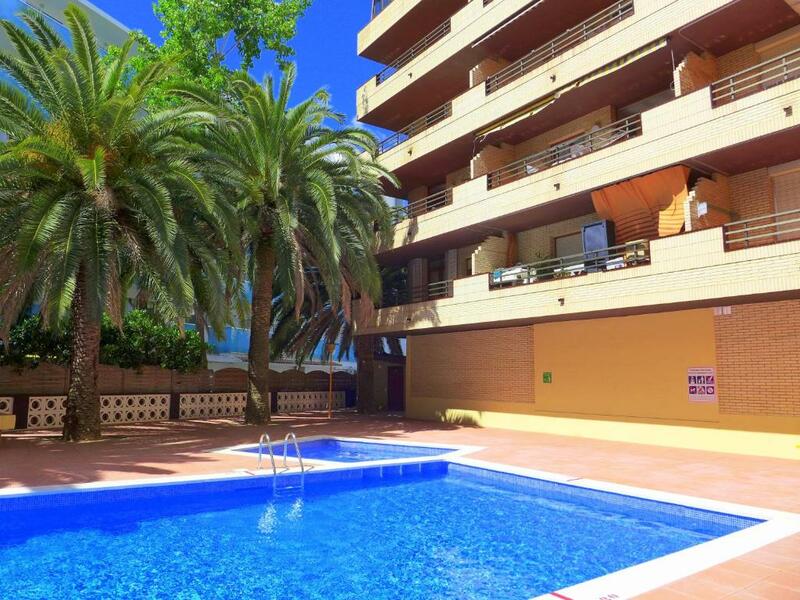 Family apartments in the center of Salou, right on Zaragoza Street, the most commercial pedestrian street in Salou. The apartments are spacious and have a quiet pool so you can enjoy your family vacation. Calle Zaragoza is the most commercial street in Salou, which leads directly to the beach and the Fuente Luminosa. It is a pedestrian street full of shops and restaurants. There are several supermarkets nearby. House Rules Rentalmar Azahar takes special requests – add in the next step! Rentalmar Azahar accepts these cards and reserves the right to temporarily hold an amount prior to arrival. Bed linen is provided. Apartments are cleaned before arrival and after departure. You can rent a safe from reception, subject to availability. Please note that parties are not allowed at the property and noise must be kept down to a minimum from 23:00. In the hotel I stayed in 15 412, the bedroom had a smell of pit 24 hours now stop.. I loved it over there. Then I moved over to 507, peces no washer but I don’t have to deal with the smell. the bathroom was smelly no cleaners to change bed sheets. that it was nice and close to everything. No bath towels. Bathroom smelt of sewerage. No toaster or kettle or grill tray. Only 1 set of keys. The leaking sink in the bathroom. Generally grubby and dated. On arrival fridge was switched off, dirty and smelt. First day spent disinfecting along with the rest of the poorly equipped kitchen. The air conditioning started leaking one afternoon due to lack of maintenance and was reported, then needed to be chased up the next morning, finally attended early evening. It wasn't repaired, just switched off. Only one key between us which was a pain. Overpriced and poor value. As so on top of the pedestrian walkway for the shops / bars at night it got noisy but our children are a little older but one occasion had to call the main reception as there should be no loud noises or partying after 11 & this was early hours but very pleased that the security was sent within 15 mins and no more problems after that. on arrival the map was not very clear so make sure you head down the pedestrian walkway & look for the metal doors tucked away . Having another set of keys definatley.